The Coppell Cowboys football team lines up for the school alma mater following its 55-14 victory over W.T. White on Friday at Buddy Echols Field. Coppel junior outside linebacker Jay Dempsey stands with assistant football coach Cole Bryant. With playoffs closing in, the Coppell Cowboys football team sets its sights ahead to the next three games, all of which are in District 9-6A. Tomorrow night, the Cowboys (6-1 overall, 4-0 in District 9-6A) will look to uphold their undefeated district record as they play the Berkner Rams at 7:30 p.m. at Wildcats-Rams Stadium. 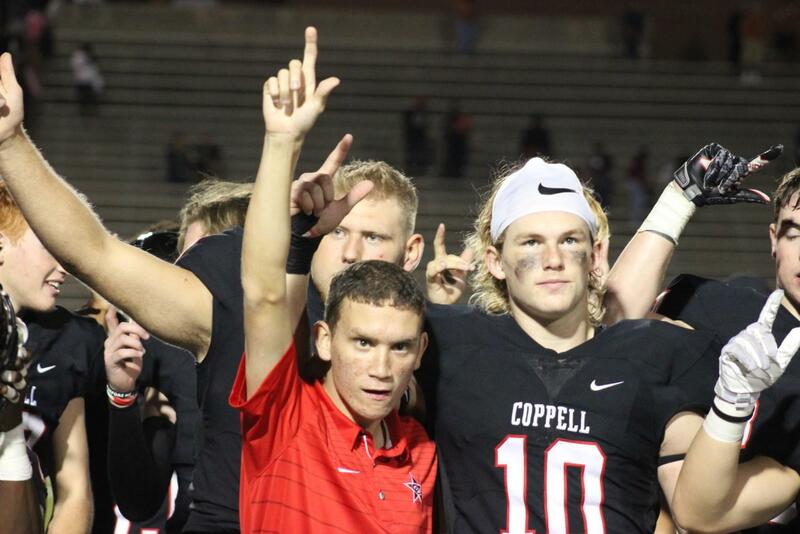 Last week, Coppell improved its record in a dominating rout of the W.T. White Longhorns. Against the Longhorns, the Cowboys put the game away in the first half. The Cowboys hope to keep that style of play going into this week’s game. Part of this offensive style of play is an effective rotation of wide receivers. 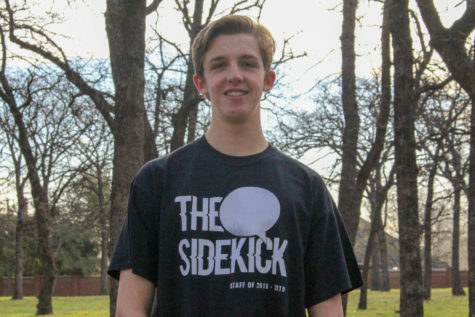 The Cowboys will often use the receivers early on to create a threat downfield, opening up an opportunity for running backs such as junior Ryan Hirt to have good, effective runs. Tickets will be sold at the gate for $8.